Not that involving to drive. Interested in buying a Volvo V60 Cross Country? The V60 Cross Country is virtually identical to the standard V60, but has a ride height boosted by 60mm for extra ground clearance, and a slightly different front end. There are also plastic mouldings around the sill and wheel arches to add protection from rural debris. The Cross Country is more of an extended trim level than a standalone car, and so it comes with many of the visual trappings of the standard car including LED headlights and eye-catching daytime running lights. It rides on 18-inch alloy wheels. The V60 Cross Country has an identical interior to the standard car, which means boasts a 12.3-inch digital dashboard screen and a 9.0-inch portrait-style touchscreen, which looks very much like an iPad. As you’d expect from a Swedish car, everything is laid out rationally and, despite the initial complexity of the big touchscreen, it’s not a difficult cabin to find your way around. Using the touchscreen soon becomes second nature, especially if you’re used to a smartphone or tablet (although there’s no denying it can be a distraction from the road at times) and the physical switches and buttons are easy to find and feel solid. Both the driver and front passenger seats are electrically height-adjustable, and have electric lumbar support adjustment too, so most should be able to get comfy. On the quality front, it’s all but impossible to find fault: everything you look at and touch is of a very high grade, and Volvo has made a cabin that easily competes with the best of its premium opposition. It's maybe not got the final edge of quality that Audi can boast, but it's pretty close. As well as boasting added off-road practicality, the V60 Cross Country is a Volvo estate, all of which tend to score highly in this area. At 529 litres with the rear seats up, the boot is only 30 litres short of the space on offer in the larger V90. The V60’s boot can be divided and partitioned using small pop-up floor panels, but it’s not as genuinely flexible as the adjustable boot floor you get in Volvo’s XC40 small SUV. It’s also a shame the tailgate glass doesn’t open separately to the rest of the hatch, like it does in some rivals, but you do get a powered tailgate as standard. In the back seats, there is plenty of legroom and headroom for three adults, and there are helpful touches for families such as electronic child locks. There are also plenty of cubby holes, cupholders and door pockets for keeping odds and ends. Were the standard V60 set up for an engaging sporty drive, the prospect of raising its centre of gravity might be a concern. But as the standard car is very much a wafty, comfort-focused vehicle, lifting it up by 60mm actually makes little difference. It’s still a soft, comfortable ride but there’s enough composure and solidity to its behaviour through bends that it doesn’t feel wallowy or unsure of itself. The raised ride height, and four-wheel drive on all models, is complemented by an off-road mode selected via a dial between the front seats. 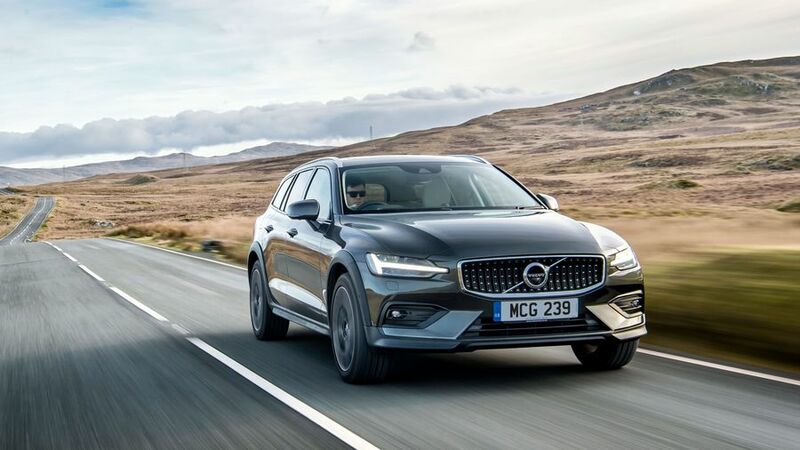 It allows the V60 Cross Country to easily tackle muddy farm tracks, and while it’s not as capable as a proper four-wheel drive SUV, it’s far more at home off-tarmac than a regular estate. There’s just one choice of engine in the V60 Cross Country, and it’s a diesel unit badged as the D4. With 190 horsepower it’s powerful enough to pull well on or off-road, and it’s mated to a smooth and unobtrusive eight-speed automatic gearbox. There’s no option to shift yourself via wheel-mounted paddles (although you can do so with the gearstick), but it’s not really the kind of car where you’d need to. It’s a little bit noisy when you really put your foot down, but never intrusively so. The V60 – at the time of writing, at least – has no direct rivals as the Audi A4 Allroad is unavailable until mid-2019 at the earliest. The Audi A6 Allroad is some £10,000 more expensive, while Subaru’s Outback is several thousand pounds cheaper and nowhere near as premium-feeling. That said, the Subaru actually works out more expensive than the V60 Cross Country over three years of ownership, thanks to the Volvo’s superior fuel economy and cheaper servicing costs. It’s not cheap to buy, but it’s still a relatively sound financial proposition. Volvo's have an image of stability and safety, but this isn't always mirrored by reliability.  In the Warranty Direct Reliability Index – which takes into account all factors of a repair, the cost of parts, and frequency of failures in cars that are out of warranty – Volvo sits around mid-table. JD Power's 2018 Vehicle Dependability Study, which uses more up-to-date information, puts Volvo towards the bottom of the table, with a score below the industry average. Should anything go wrong with your V60, Volvo offers a three-year/60,000-mile warranty. The V60 scores highly here. Aside from systems that keep you safe in the event of a collision — airbags, side impact protection, and a system that automatically rings the emergency services if you have a crash — the V60 is also packed with sensors and technology that stop you having a crash in the first place. Those include a computer-controlled braking system that can stop the car entirely, or at least slow you down enough to reduce the impact with another vehicle, pedestrian, or even a large animal; steering that automatically tugs you back into your lane should you drift out of it; and a new head-on collision system that slams on the brakes should it detect that another car is going to drive into you. Available as an option, as part of the Intellisafe Pro pack, is Pilot Assist, which (as Volvo is at pains to point out) is not an autonomous driving system (you can’t sit back and read the paper), but a clever cruise control and steering setup that helps keep you in your lane and controls the car’s speed. You still have to pay attention, and keep your hands on the wheel, but it definitely reduces driver fatigue on long motorway journeys, and Volvo has updated the system so that its lane-keeping steering action is a little smoother and less jerky than in previous models. The car scored the maximum five stars in crash tests by safety organisation Euro NCAP. There’s plenty of kit available for the V60 Cross Country, although quite a lot of it is an optional extra that will drive up the cost. These include some features that, this price, we’d have hoped would be standard. Led headlights and alloy wheels are all included, as are front parking. But adaptive cruise control is extra, as is keyless entry and start, and Apple Car Play and Android Auto, which are included as standard on much cheaper cars. Other options packs include a winter pack with heated seats and windscreen, and the Convenience pack that features electric folding rear seats and a three=pin plug socket in the centre console. The Xenium pack adds a panoramic sunroof, 360-degree parking camera and automatic parking. Splash the cash and you’ll have a very well appointed car. If you want to tackle rough terrain in comfort and style, and don’t want an SUV, then the V60 Cross Country may well be for you. It's a very competent, well made machine that will happily play away from the road, and it’s available with plenty of luxury toys.